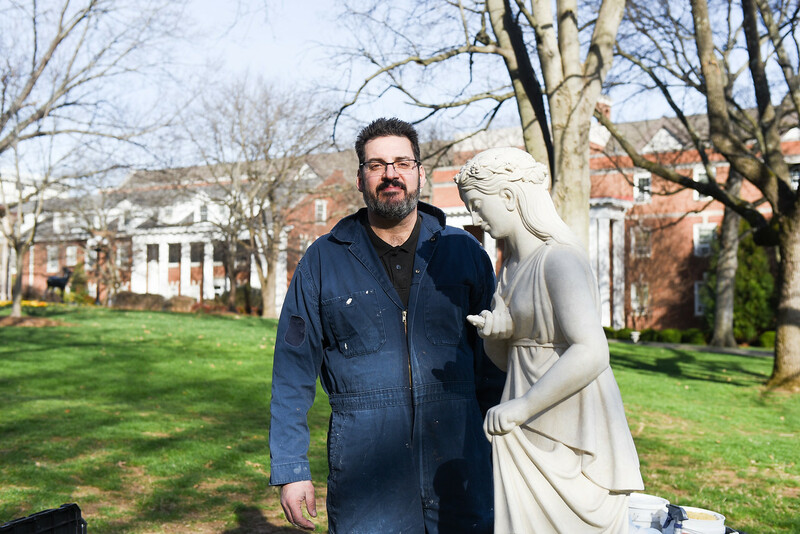 Local Nashville Sculptor Tony Novak recently finished restoring the last two historic Belmont statues in a series of 14, a process that he has been working on with the University for nearly 11 years. 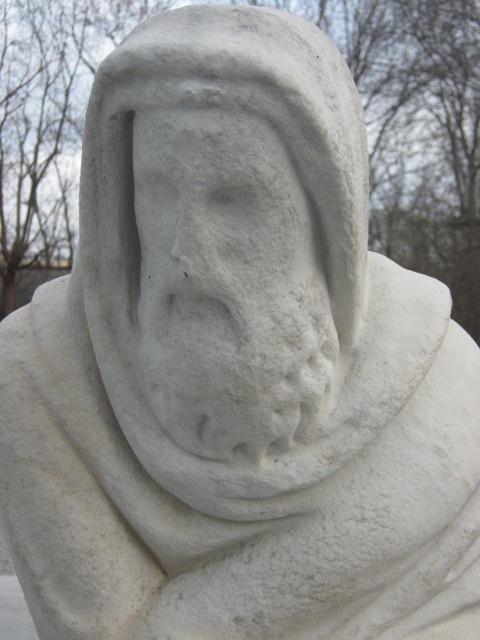 Novak began restoring the statues in the summer of 2006 when he met with Judy Fisher and Mark Brown, executive director of the Belmont Mansion, to look at the original pieces in the basement of the Leu Center for the Visual Arts. Due to weathering and erosion that had occurred from spending many years in the harsh outdoors, several of the statues were missing limbs and even heads. The ones that still contained all of their original parts were so worn that many of the details, such as facial expressions, noses, ears, eyes and hair, had been washed away from acid rain and tough cleanings. Two of the 14 originals no longer existed and had to be completely recreated through the study of detailed photographic records, which were also closely examined to determine exactly what details could no longer be found on the originals. Through records obtained by the Belmont Mansion, Brown was able to estimate that the statue series was most likely created in Italy around 1853. The first statues bought by Adelicia Acklen, whom owned and resided in the mansion in the early 1800s, were placed on the estate grounds in the fall of 1853. Acklen likely bought them on a stateside shopping trip after they were imported from Italy to be sold to wealthy Americans. The collection is the largest 19th century cast iron collection in the United States, and may also be the largest collection of mid-19th century marble garden statues in the country. Novak’s restoration process involved several steps: cleaning, reconstructing and gluing on broken sections. Reconstructions are then sculpted over with temporary clay “skin” to detail over the worn areas. Molds are made of these re-shaped statues, then all of the clay reconstruction is removed from the originals. The molds are used to create cast-stone replicas, which are then placed back outside on campus grounds. In addition to restoring these historic statues, Novak has created several original commissions for the University in years past. 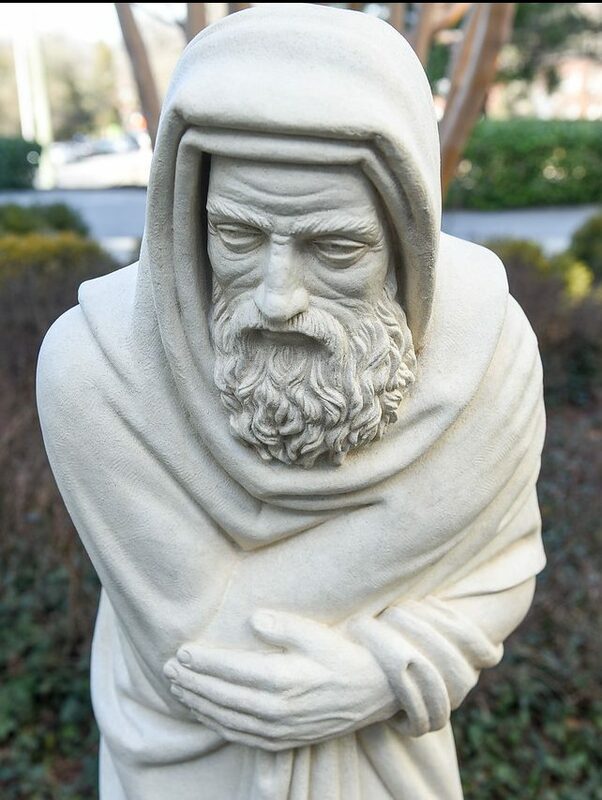 “Solomon: A Wise Ruler,” the largest sculpture, is located in the rotunda of the Baskin Law Center. The statues of “Peril” and “Folly” in the niches of the Trout Theater are also Novak’s original works. Working in Nashville over the years, Novak has restored plenty of other architectural and masonry elements, statues, planters, urns and even a Tang Dynasty terra cotta horse from the 10th century. His next challenge is to restore the “Two Dragons” sculpture of Fannie Mae Dees Park, located just down the road from Belmont. The dragons are considered a Nashville icon, and they are currently fenced off and closed to the public. Novak looks forward to this new challenge.